I bumped into a magazine enlisting the top 10 chicken in Cebu. Chosun Chicken landed on the first spot and I was just as clueless as my peers where this place is. 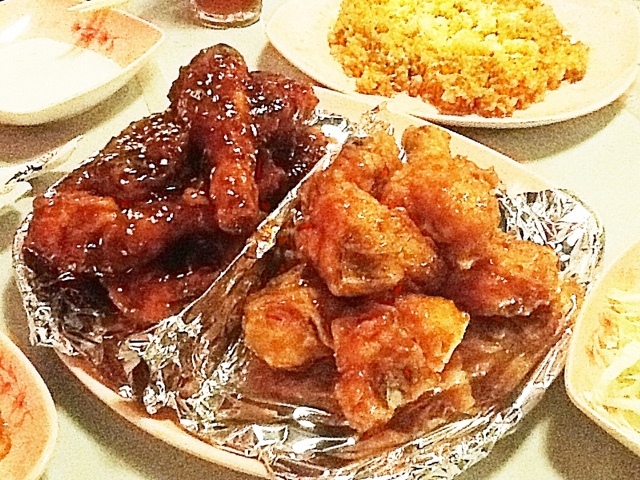 Chicken Charlie and Bonchon Chicken has recently invaded Cebu. Not until I've tried all these three, I was able to appreciate the Korean twice fried chicken of Chosun Chicken. Over the long weekend, I was able to revisit the place in (Foodland) Banilad, right beside the flyover. Upon your entry, you'd be distracted by how its interior is set up. Go see for yourself. With no further ado, three of us finished one whole chicken cut into 16-18 pcs. Half spicy - half original for P550, paired with Kimchi Rice over some meaningful conversation. Ah, I miss this bonding time with my BFFs, wish we can do it more often, but times can't make it possible.